This model is the Maxwell No. 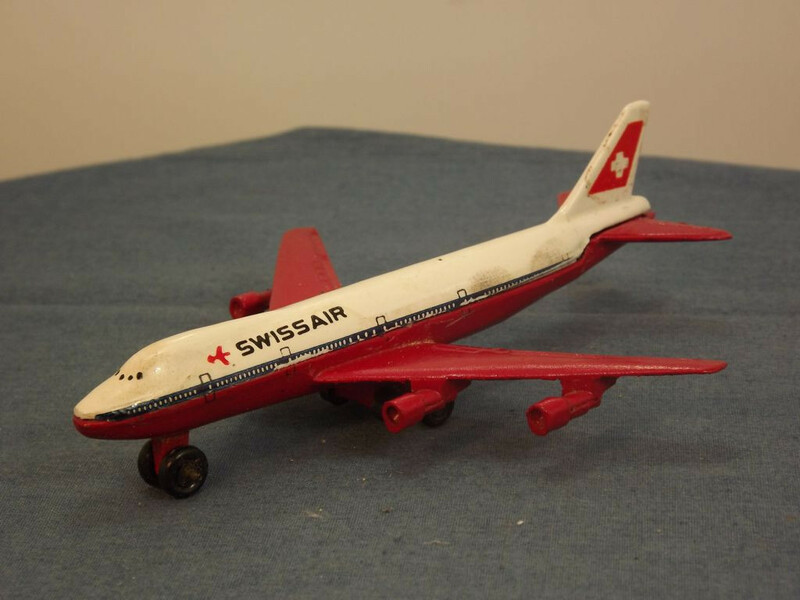 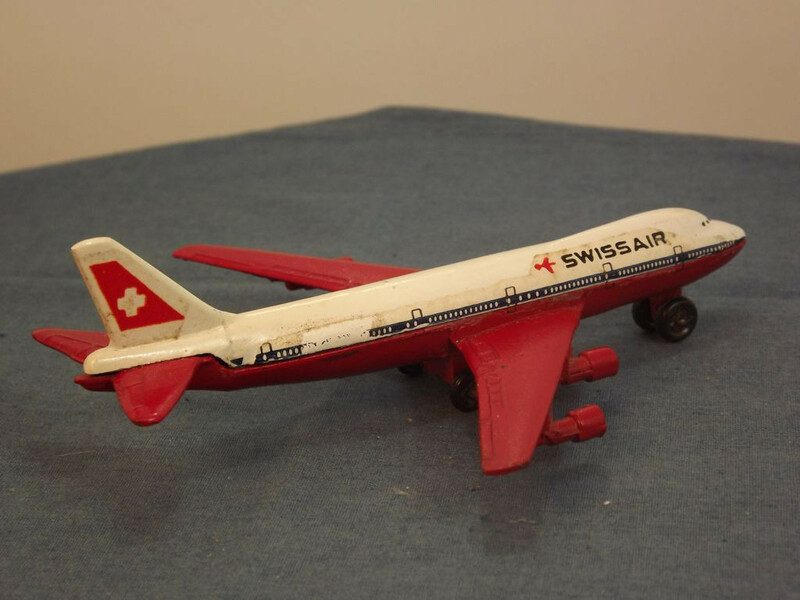 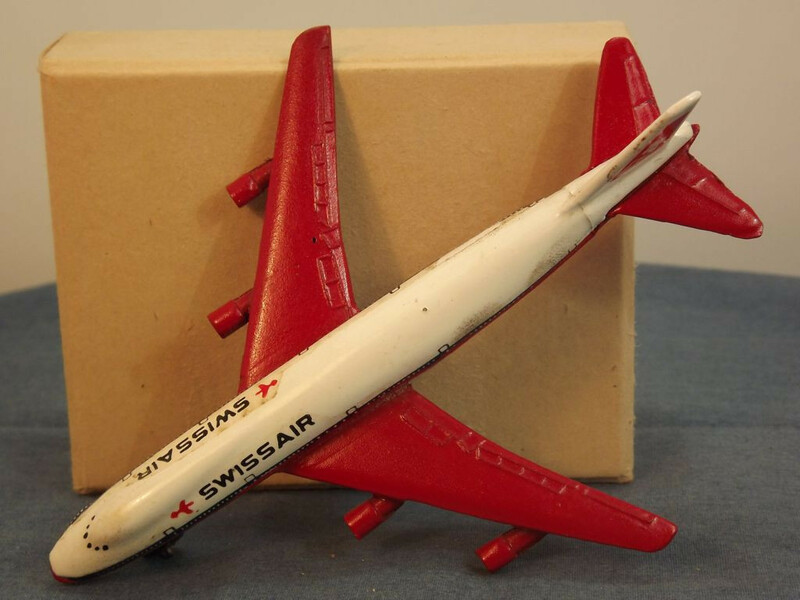 546 Boeing 747 in red and white Swiss Air livery. 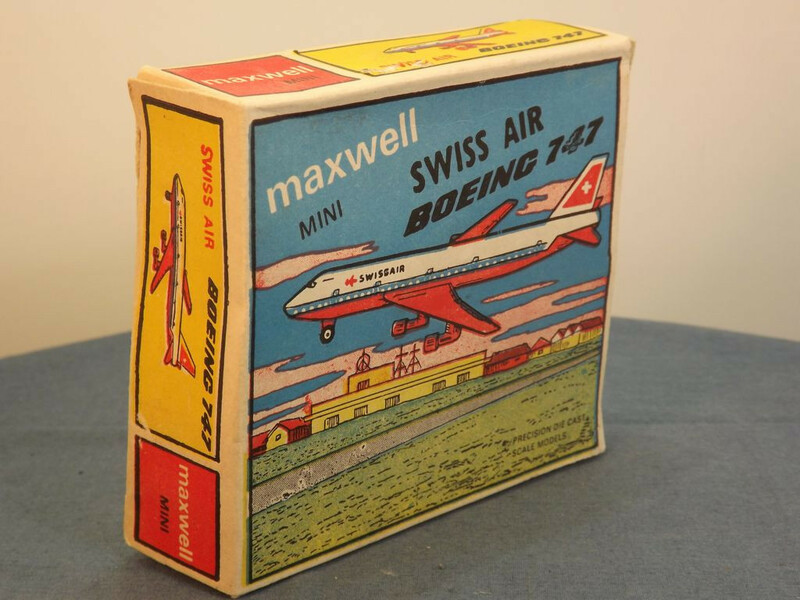 It comes packed in the original Maxwell Mini cardboard box. 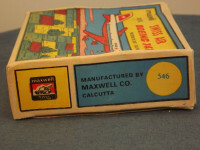 The model has no opening parts and is rather crude in its styling as is common with some of the Maxwell commercial vehicles. The body is a two part metal casting with white upper body and tail fin and red lower body and wings. The upper body has decals representing the windows, doors, front pilot's windows, Swiss Air markings and, on the rear fin, the white cross on red background. All 6 wheels are solid plastic u nits on steel axles. 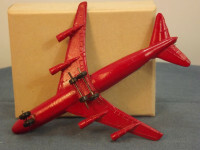 There are no manufacturer's marks or country of origin details on the underside of the casting. 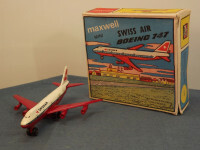 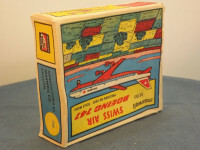 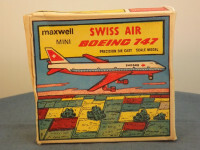 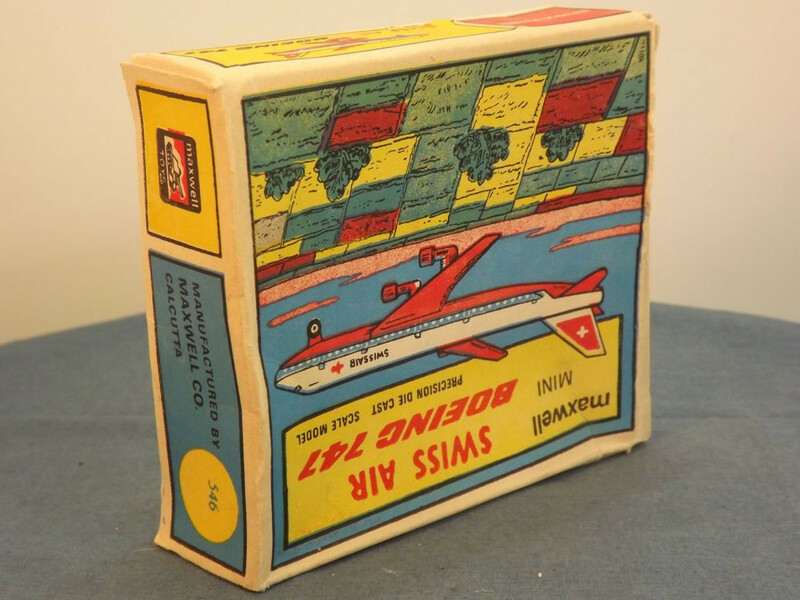 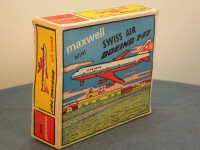 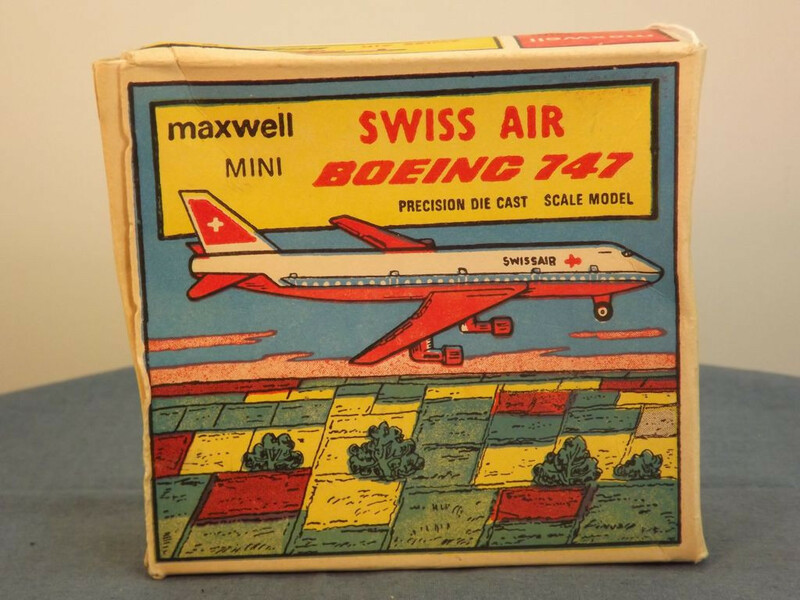 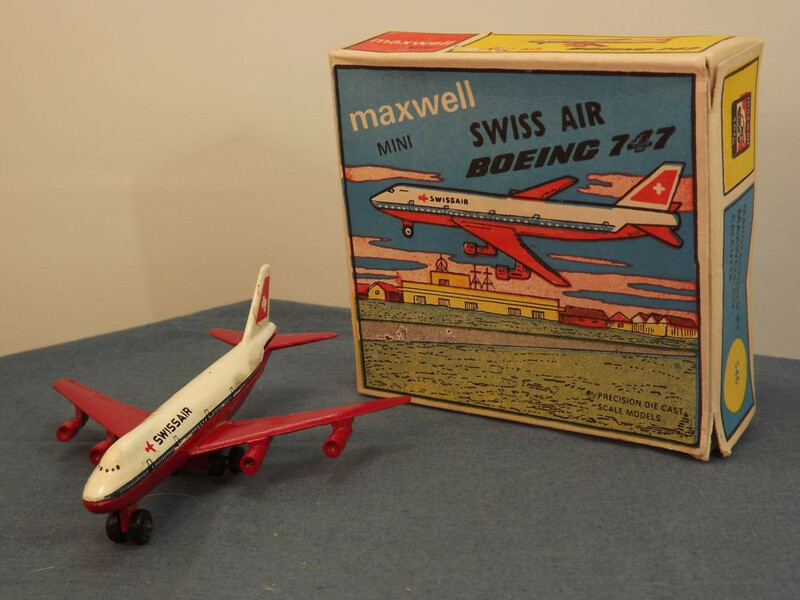 The model comes in its original, colourful, Maxwell Mini, card box. The two main faces depict a Swiss Air 747 over a rural scene on one face, and landing on the other. 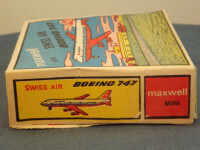 The sides identify the model in the package and the end flaps show the manufacturer's details and model reference on one end, and the model itself on the other. 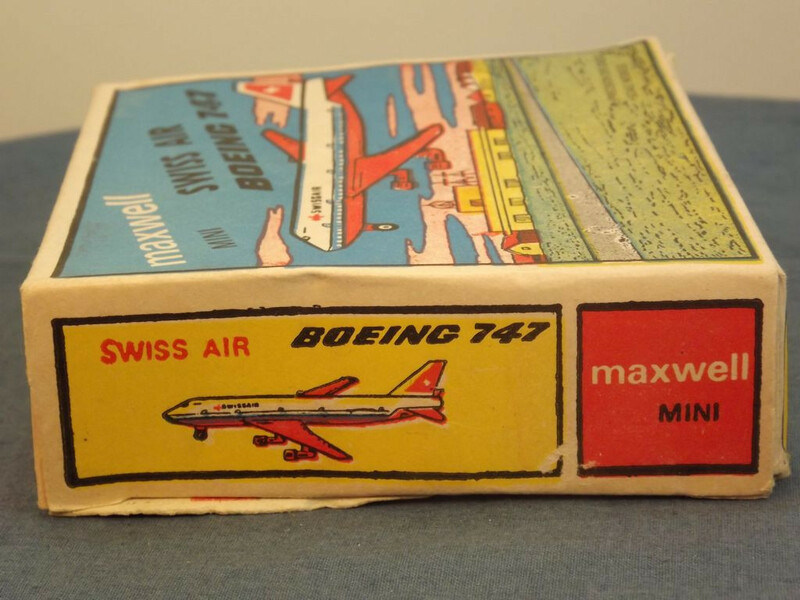 Interestingly, the interior of the package shows "bleed-through", clear reverse images where the red printer's ink appears on the exterior of the package.